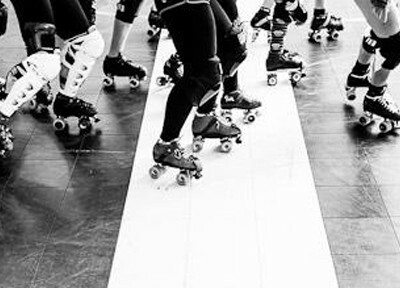 Roller Derby: It’s me, Booty Quake. And it’s time for a very frank discussion. There’s a scourge in our community that has been ignored for too long, and I can no longer stand by and watch it happen. … Dangerously bad squat technique! OK, OK, I’m being a bit cheeky, but I did put together this (long overdue) RDA Public Service Announcement to hopefully make a meaningful change for a lot of skaters, starting right now. Squat technique is important. 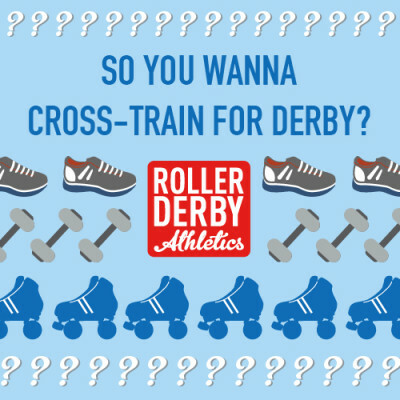 Obviously it plays into getting yourself into a strong derby stance – whether that’s to pass the scrutiny of whomever is scoring you on your minimum skills test, or (more importantly) to prevent getting knocked into next week by an opposing blocker on the track. But it’s about more than just derby stance. Bending your knees is the start of every jump, and a jump in your shoes translates to a powerful stride in your skates. If you can’t jump powerfully, then you can’t accelerate well. And if you can’t accelerate, then you can’t get to the line quickly to cover it, escape an oncoming blocker with a quick stride, or deliver a strong hit to your opponent. All of these actions require power. To develop power we need to be able to train by jumping (or lifting heavy things quickly)… which requires us to be able to squat. See where I’m going with this? There are two major and very widespread technique errors that are rampant in the derby world, and I address both with a super quick fix in this video. Please join the RDA Fix-The-Squat-Squad (OK, I just made that up) by sharing this video with your team, and your league. We can fix this problem if we work together!!! Furthermore, I would be absolutely delighted to offer a critique of your squat technique. Upload your squat to Instagram and tag me – I’m @rollerderbyathletics – and I will give you feedback on how you’re doing!! Got questions about all of this? Ask away in the comments below. I’m here for you.